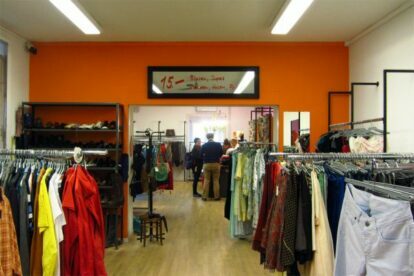 Caritas runs several charity shops in Zurich where people can donate and buy used clothes, shoes and household items. Two of them are located in Wiedikon within a stone’s throw of each other: a clothes store at Birmensdorferstrasse 52 and a bargain clothes store called Netto at Birmensdorferstrasse 38. Other locations include the Viaduct railway arches near Bogen F and Oerlikon. It goes without saying that the Netto store scores highest for fun out of them all. Wacky and bold-coloured garments reign supreme. If browsing is your cup of tea you can sift through piles of clothes for hours on end here. Donate your old clothes through a flap lid in the yard before restocking your wardrobe at the shop. This is charity and recycling in one neat little package. No matter which store you go for, you can shop to your heart’s content at Caritas, safe in the knowledge that with your purchase you support their worthy cause, helping the poor and deprived in Switzerland and abroad.